Downtown Harrisonburg is home to some of the best places to eat and visit while attending JMU, and now there are two new reasons to venture down Main St. The Golden Pony and Bella Luna Gelato and Ice Cream will be replacing two recently closed establishments, and they are both very exciting additions to downtown life. Many students and Harrisonburg residents were dismayed when it was announced the beloved Blue Nile Ethiopian restaurant would be closing earlier this year. This closure was especially disappointing to local music fans, as the Nile was one the area’s premier spots to check out bands on tour. But now we can all rejoice, as the location will be reopening as the Golden Pony, a new restaurant and music venue. The menu promises some interesting American cuisine, complete with brunch and even late night breakfast served from 12-5 am on Friday and Saturday Nights. And downstairs, the music will be back in business and sounding better than ever, as the Pony recently raised over $18,000 dollars through an Indiegogo campaign. 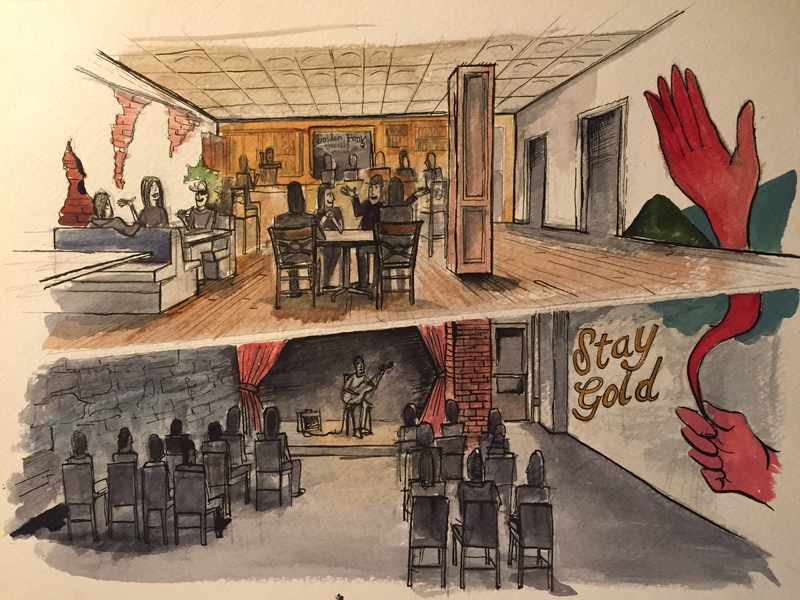 The Golden Pony plans to open sometime this spring, so keep your eyes and ears open. Also opening this spring will be Bella Luna Gelato and Ice Cream. Many students may already be in love with Bella Luna Wood-Fired Pizza, and this location looks to live up to that high standard. In addition to serving italian style ice cream, called gelato, this new spot will be serving coffee, espresso and breakfast foods such as pastries and fresh bread in the morning. I studied abroad in Italy last year, and am more than excited to have espresso and gelato back in my life. Bella Luna Gelato and Ice Cream will be opening this March, and seems like the perfect place to get some morning caffeine and after school ice cream. So be sure to head downtown this spring to check out these and many other awesome local restaurants, bars, and coffee shops. Make downtown Harrisonburg a part of your JMU experience!